The greatest nuclear disaster to ever unfold took place on April 26th, 1986. I was too little to remember the event, and for all I know the Soviet Union did a good job of keeping it a secret from the rest of the world at the time. Eventually word did get out that a nuclear reactor had suffered a meltdown and an entire city was destroyed. Ever since then, the word Chernobyl has always been tied to nuclear disaster and abandoned cities, inspiring documentaries, adventurers, and even a horror story or two. When the reactor failed, families were evacuated from Chernobyl and told they would be returning in just a matter of weeks or even days. As they continued to wait indefinitely, it soon became a reality that they would never call Chernobyl their home again. I visited Chernobyl about 25 years after the disaster. 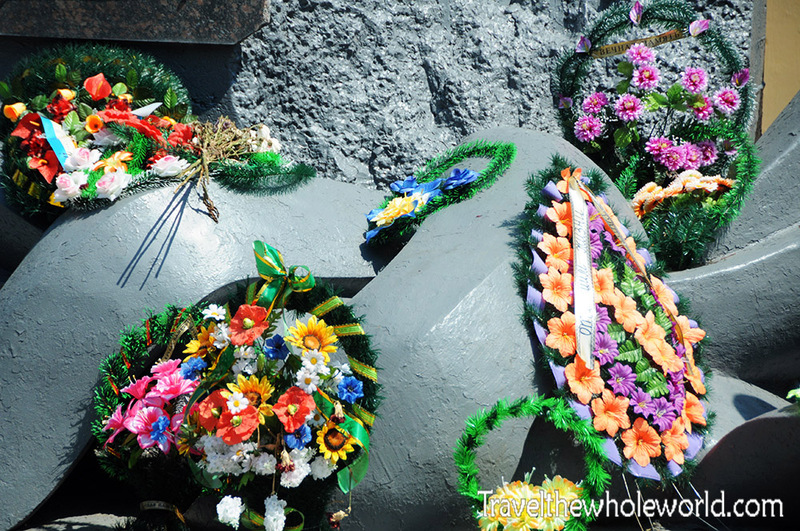 Radiation levels are still present, but they’re low enough that your signature on a waiver and hiring a Ukrainian military guide is all that it takes to visit. 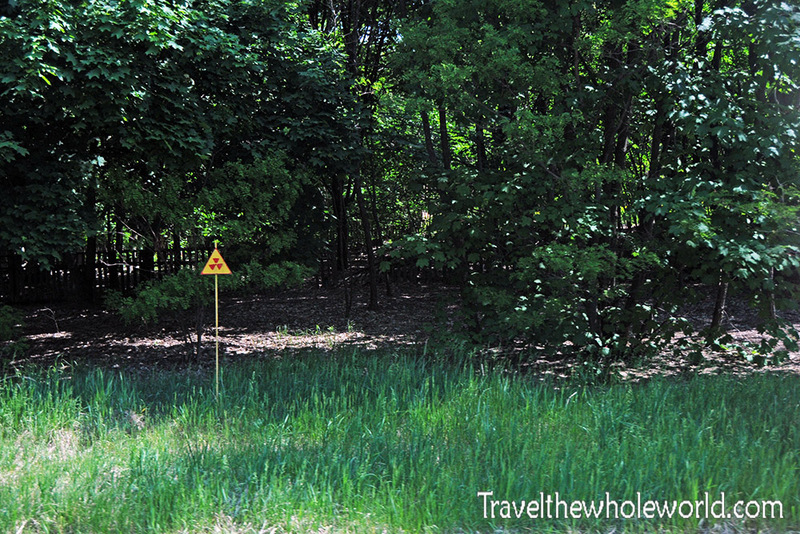 The Chernobyl disaster area is broken down into three zones, each requiring a check point to enter. The sign above is from the very first zone which prevents people from accidentally entering the area. When people think of this nuclear disaster the city of Chernobyl almost always comes to mind, but Pripyat is the actual home of the failed reactor. Chernobyl is just the largest population center that was effected by the meltdown, and the former city is located within the outer most zone. 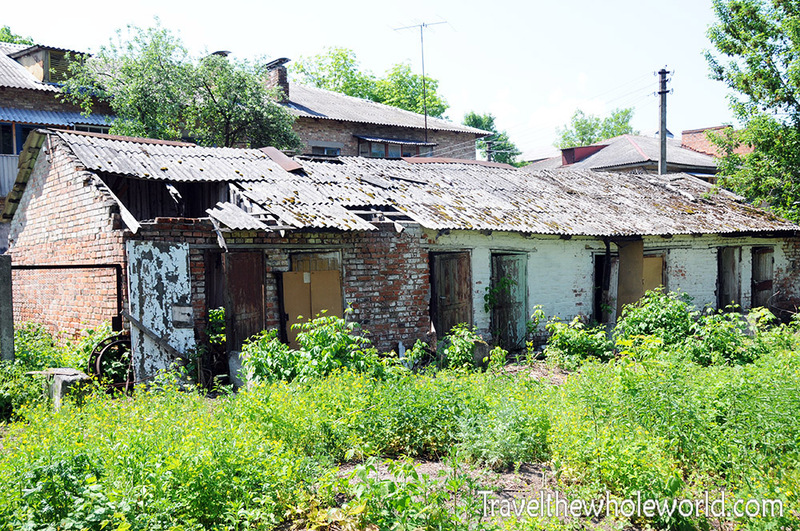 The photo above shows an abandoned building or home in Chernobyl, one of many in the city. 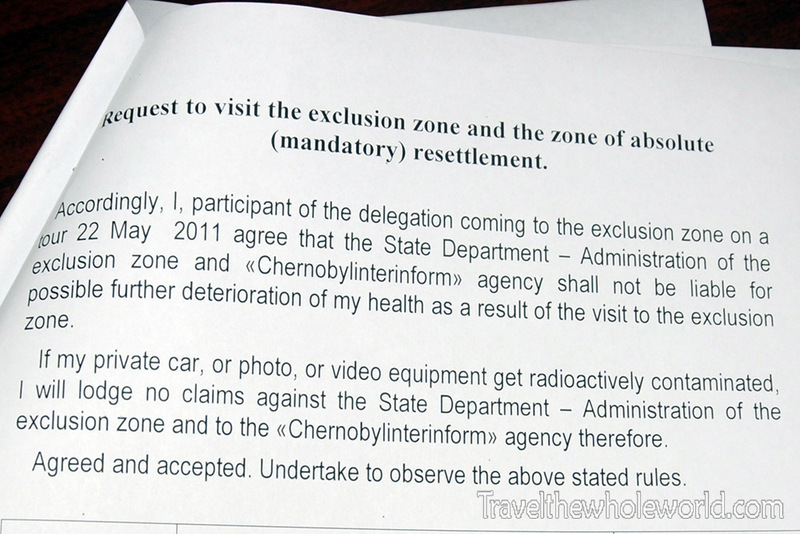 Above and below are two sections of the waiver I had to sign in order to enter Chernobyl. 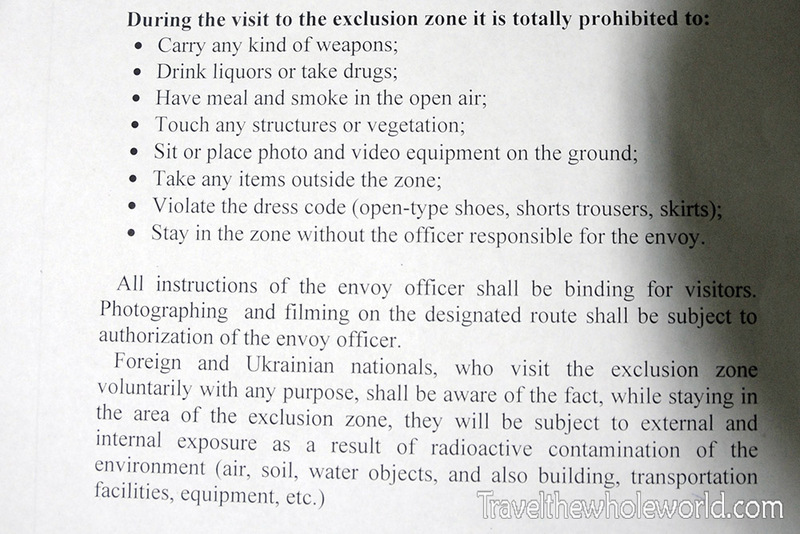 The waiver basically tells you that you will be exposed to internal and external radiation and have no right to make claims against Ukraine in case you or your personal belongings deteriorate or die. The fact that I had to sign this document was a bit unnerving, but I figured it couldn’t be so bad since this is a one time visit for me. Some members of the Ukraine military and other civilians actually come here daily! I was very curious to see what nature looked like in the outer zone. 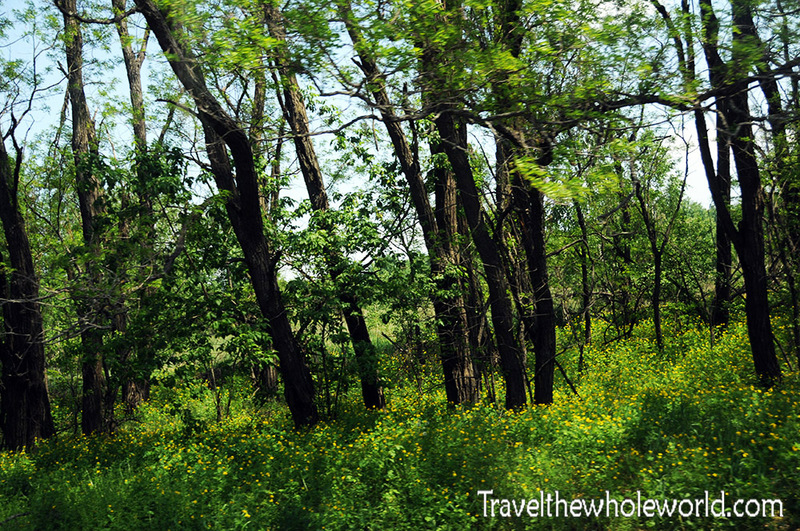 Most people assume that all the flora and fauna is dead, but the wildlife and forests around Chernobyl actually look healthy. If you were just dropped off here you’d have no reason to suspect anything was wrong. 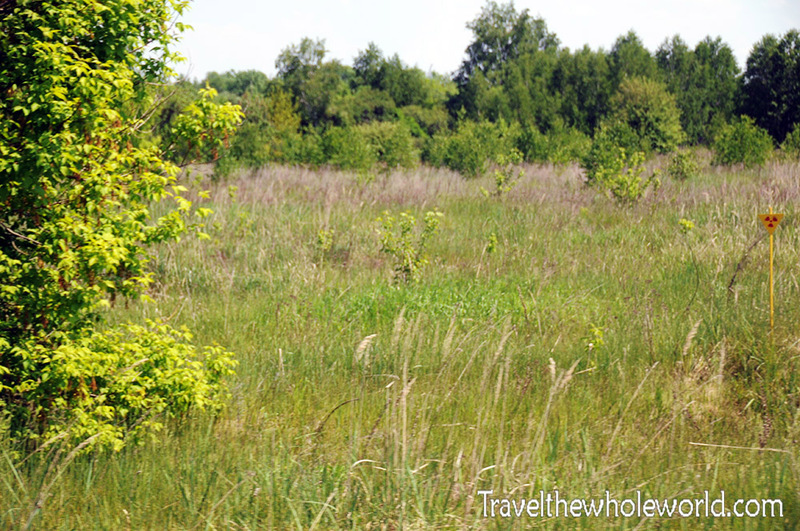 The photo above shows some forests of Chernobyl, with a grassy area below. If you were hiking through these woods you’d eventually come across some of these small signs. These are staged along the road warning people not to go into the woods because of radiation levels that are still present. Right after the disaster happened, scores of animals and surrounding woodlands were destroyed by the powerful radiation. Over the past few decades the radiation levels have declined in the outer zones enough to allow nature to recover. I wasn’t allowed to visit it, but there is a famous place called the Red Forest. This section of trees earned this name after turning reddish brown after the meltdown. 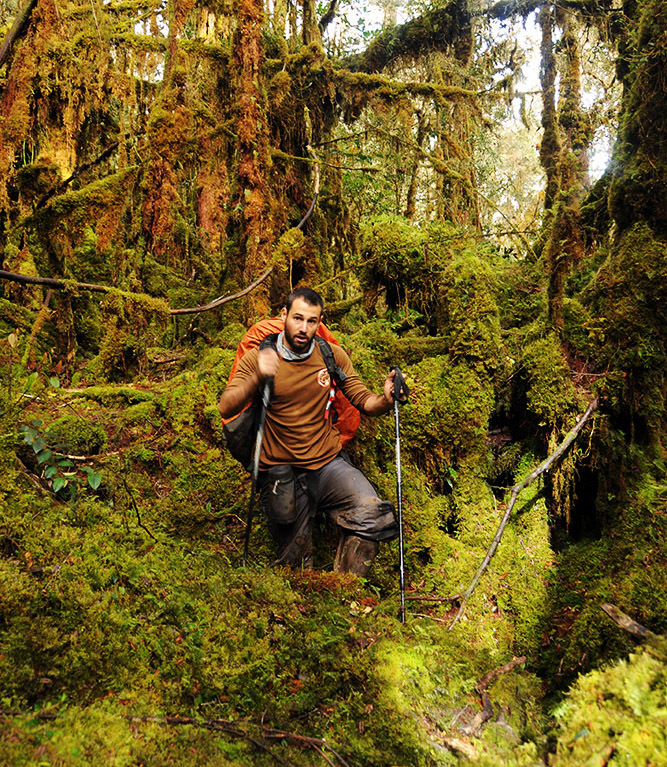 The trees in the Red Forest were killed immediately, but decades later they’ve experienced little decomposition. Within the outer zone, some people have actually returned to live again. 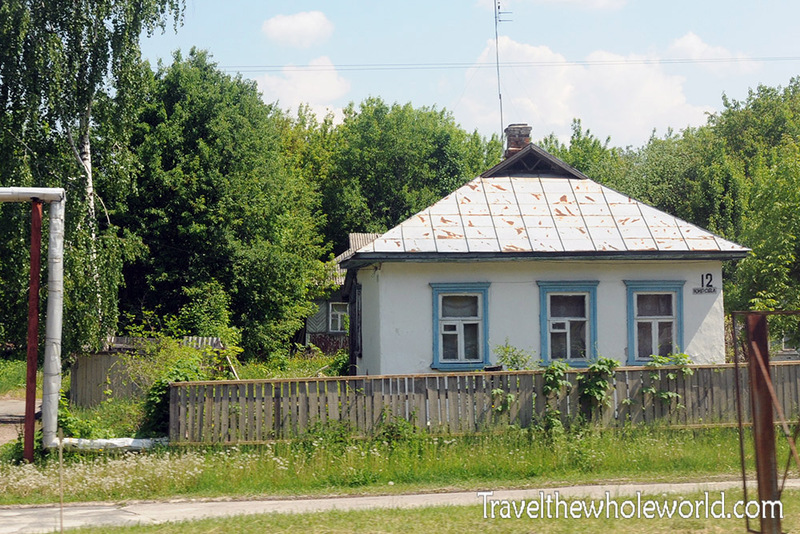 After I was told we had entered Chernobyl, I was surprised to see some civilians walking around like they would in any normal city. Most structures in the city are abandoned, but buildings like these above and below actually are inhabited. Government workers are even allowed to enter zone two without protection, but work here is limited to only 14 days a month. Most of the workers are on construction projects related to the damaged reactor. At the time of my visit, a new dome was under construction which will supposedly isolate the radiation for 10,000 years. 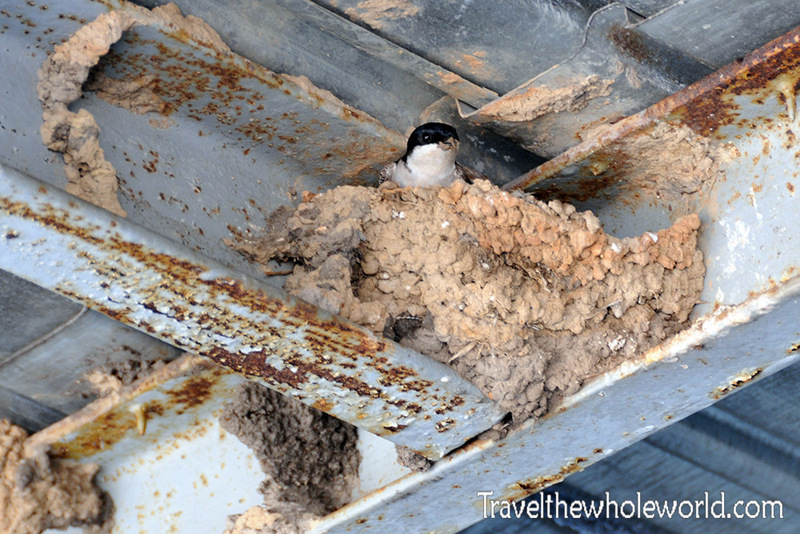 These guys are also permanent residents of Chernobyl, the cat above was with another friend, and the bird below had reclaimed the remains of a warehouse-like building. I also saw many giant beetles here, but didn’t get any shots of them worth posting. I wondered if they were giants because of the radiation, but that’s extremely unlikely. As a matter of fact, other trees outside the Red Forest that survived experienced little growth after the radiation exposure. 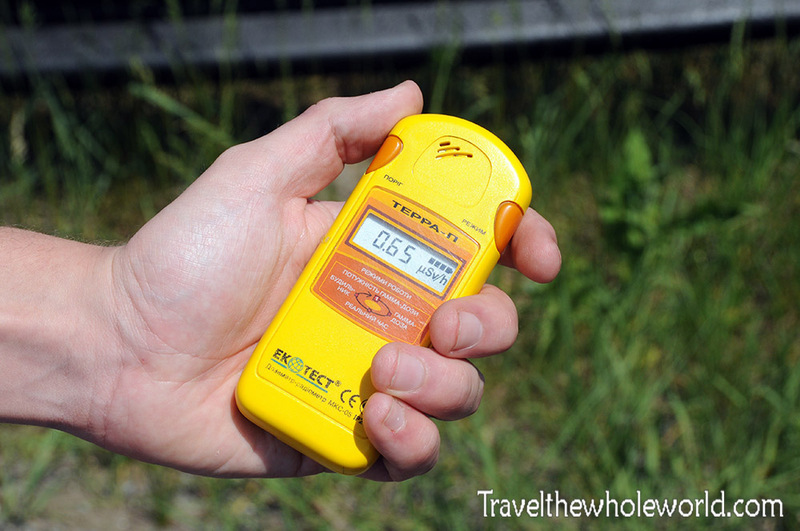 While walking around Chernobyl, our guide carried a Geiger meter used to detect radiation. At 0.65 microsieverts, the radiation is actually relatively normal and no where near being significantly dangerous. 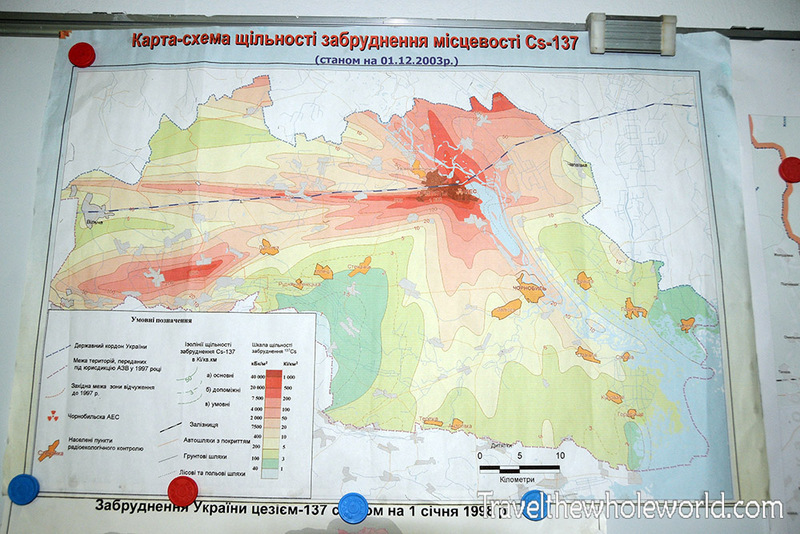 The map above shows the where the radiation was concentrated immediately after the nuclear meltdown. The dotted line is actually the border between Ukraine and Belarus. With winds heading north, what is now Belarus actually suffered most of the deadly effects of radiation. The country saw indirect deaths and side effects in the thousands and still has problems today. 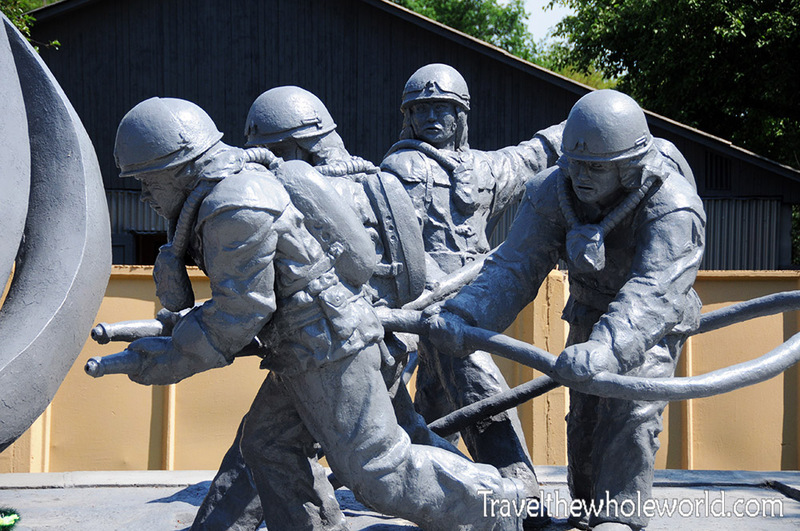 The most significant place in Chernobyl to me was this memorial to those who fought to try to control the disaster. Countless civilians, firefighters and other first responders gave their lives trying to evacuate the city. 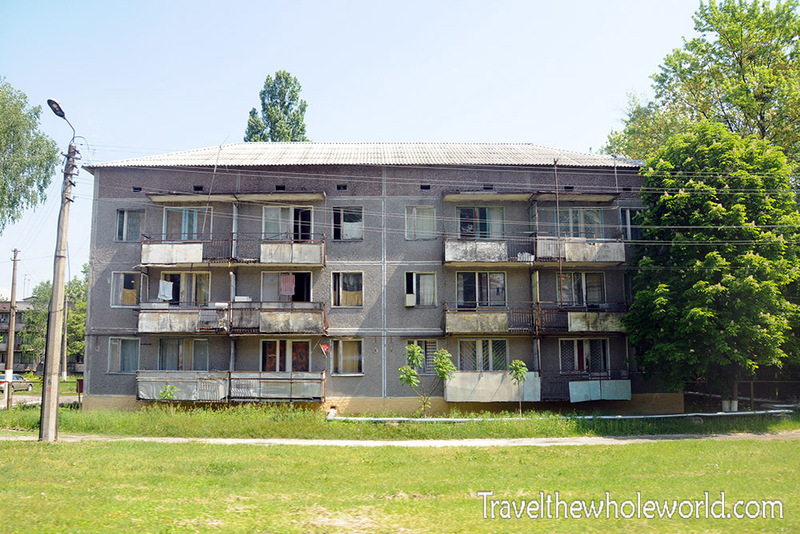 There’s much more to the Chernobyl Disaster! The nuclear reactors are actually located in a nearby town. 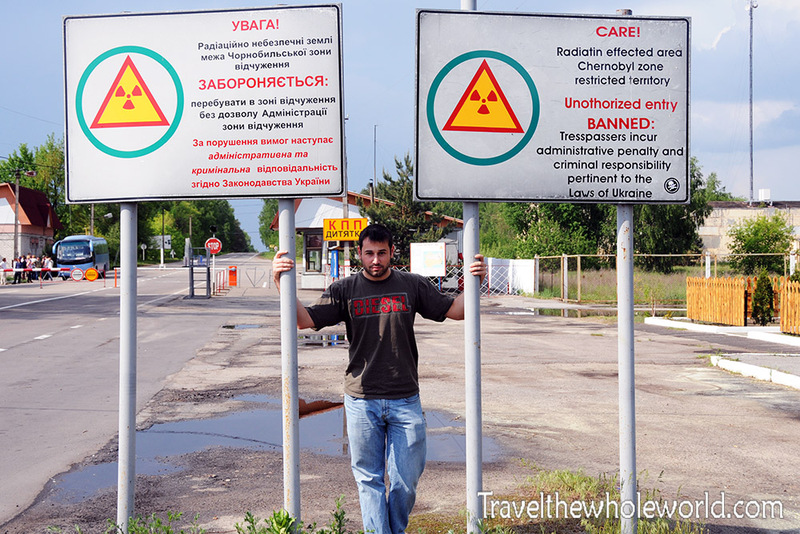 Click here to see the actual nuclear reactors and the remains of Pripyat.